Their repertoire features the finest work of the master songwriters of the era, including Cole Porter, Hoagy Carmichael and George Gershwin, delivered in a unique and powerful style reminiscent of the Louis Armstrong All Stars and the great Harlem stride piano-man Thomas 'Fats' Waller. 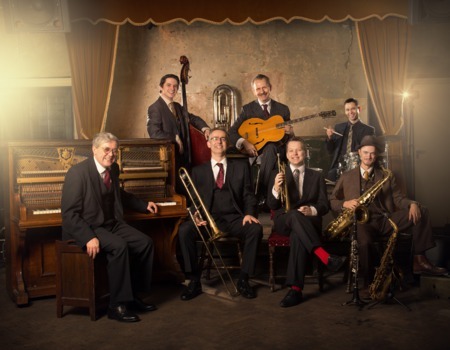 In the past year alone the Brawlers have performed as headliners at the London Swing Festival, as featured artists at The Royal Albert Hall, in addition to countless residencies at internationally acclaimed speakeasy The Nightjar, at the world's oldest music hall Wiltons Music Hall and at various jazz&blues clubs. The Brawlers are extremely proud to be presenting music from their new hot record It's Tight Like That!